Debut novel Kingdom Lock from I.D. Roberts harks back to the old-fashioned adventure yarn and reminded me slightly of the early Sharpe novels in its evocation of a bold new fighting man, though perhaps not as well written as Bernard Cornwell’s novels. 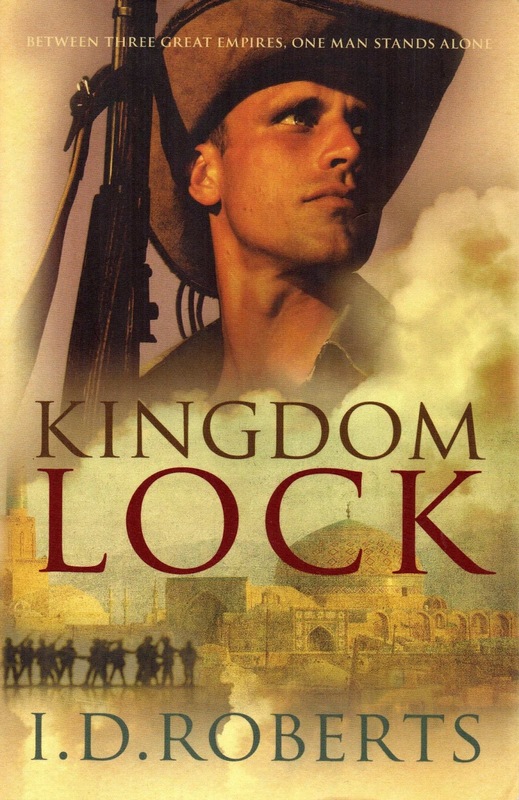 It’s 1914 and when we first meet Australian Kingdom Lock he is in the Hindu Kush rescuing Amy Townshend, daughter of a general serving in India. She’s no wilting violet, either; there’s unexpected affection between them, but nothing untoward. Lock is not only up against a cunning adversary, a master of disguise, but he has to compete for the affections of Amy against an obnoxious fellow officer, Captain Bingham-Smith. Lock is given charge of a few surviving Indian soldiers and quickly impresses them with his sense of fairness and within a short time he is aided by Siddhartha Singh. He also has to contend with the unpleasant and possibly treacherous sergeant major Underhill. The characters come alive enough to care about them and there’s humour, with certain pompous characters being put in their place; and the final battle scenes are well described and exciting. I feel Roberts captured the period, too. Overall, I enjoyed the adventure very much and intend buying the second book, For Kingdom and Country where I can reacquaint myself with the above protagonists. The book would have benefited from tighter editing. Word repetition is one of the biggest faults, but the overuse of Lock’s name is another. The book was good, but it could have been very good.